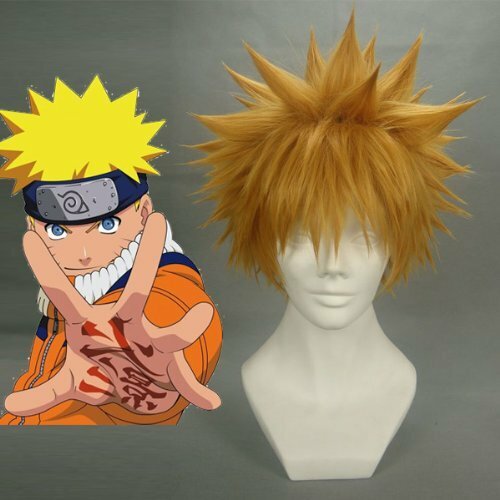 Naruto is a popular mainstream anime and manga series that has brought the genre much attention from the modern generation, the storyline surrounding Naruto and his fellow ninjas progression through school and life struck a chord with viewers and became a fan favorite quickly. Today we’ll be focusing on how to create this outfit as the main character he’s especially popular choice to dress up as for cosplay conventions aswell as Halloween of course. At birth he was sealed with the Nine-Tailed fox, despite such power held within him he is often regarded as a loose cannon and not appreciated by fellow students notably Saskura. After joining Kakashi’s team alongside Sakura and Saskue, Naruto worked hard to gain the acknowledgement he deserved and his dream of becoming Hokage. A respected position which he felt would gain him said acknowledgement from his peers. Here are two premade Naturo cosplays available for sale over at Amazon, perfect if you don’t want to go the do it yourself route or for those in a rush. 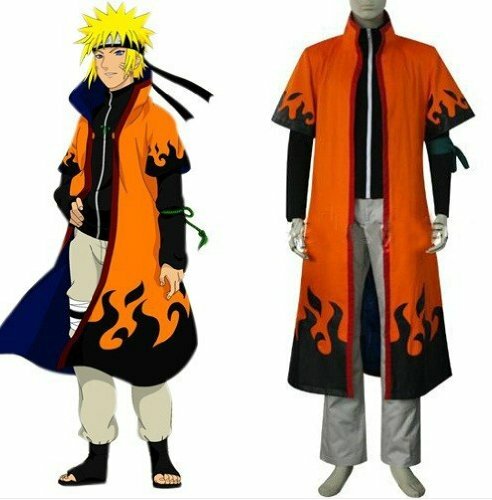 The first outfits is Naruto’s 6th Hokage attire with black flame effect rising from the bottom. 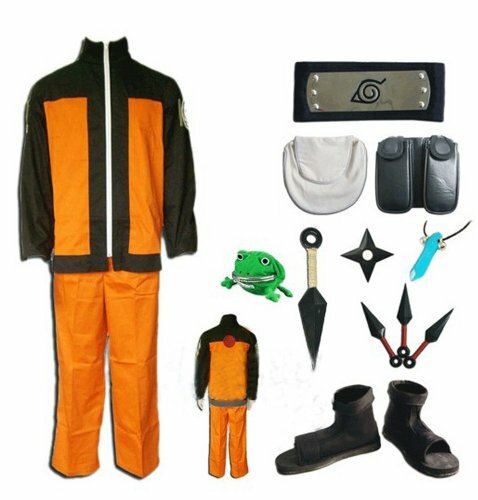 The next set includes all you’ll need for his regular ninja attire including coat, pants, arm bound, two weapons (kunai knives and shuriken), shoes, necklace and frog wallet. 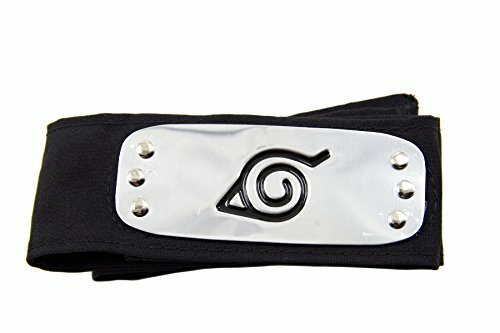 Another important accessory to a Naruto cosplay is his leaf headband that all true ninjas wear, the symbol on them depending on which village the ninja was born in. Using a paper plate or plain white card as a base begin drawing on the outline of your headband (use a reference image as a guide) making sure its big enough. With the outline drawn move onto filling in your shape with silver metallic paint, you want a thick outline so you can see where you need to paint. Once the paint has dried begin cutting it out creating curved edges on all sides. Outline the metal pins in pencil aswell as Naruto village insignia. Now we need to attach this to a piece of black fabric which is long enough to wrap around your neck, a fresh sock would do! Attach with a hot glue gun and you’re finished. Then you’ll need a wig for underneath your leaf headband, here are two easy options to choose from. Both are positively reviewed on Amazon, one with more pronounced spikes and the other a natural look that you may prefer. 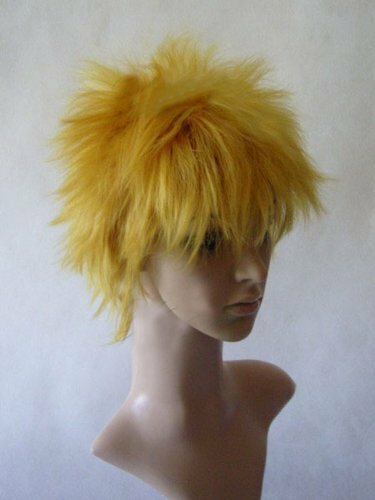 Alternatively gel your own hair for a spiky makeover, and dye it blond if it’s not already. Naturo’s ninja sandals are fairly easy to construct with a little imagination. Start with a pair of black foam flip flops from your local dollar store or equivalent to use as a base. Now snip off the toe dividers and turn your flip flop upside down. Create foot straps and a heel so your feet don’t slip off by wrapping electrical insulation tape, then gather a pair of black tights with the feet cut off. Pull the tights over your sandal and over the electrical tape straps sewing into place. For a final realistic touch fold over the top of your tights. 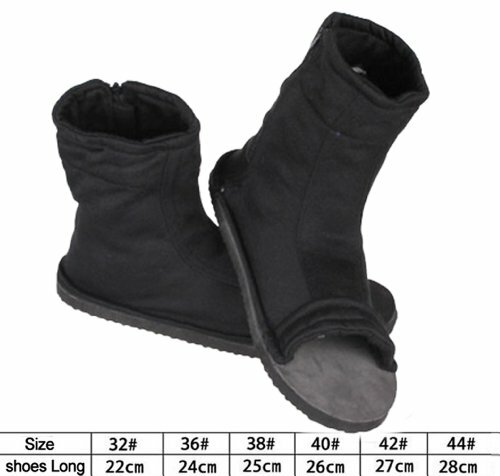 Above are a pair of premade ninja shoes so you don’t have to go through the hassle, in different sizes and lengths.